We are very proactive in our enforcement of disabled parking bays in Oxford. In 2017 we issued 2,267 Penalty Charge notices for drivers misusing these bays. Roz was so impressed, she queried the figures to see if this was for the whole county or just Oxford City. It was for Oxford City only. The County Council is proposing to enable eligibility for residents of No. 2A Gathorne Road (conversion to Flats 1 to 6 Wingfield House) to apply for residents parking permits and visitors permits. This follows the rescinding of a decision taken at an earlier Cabinet Member for Environment delegated decisions meeting. Headington Lib Dem councillors have sent the following response to the consultation. We are writing to object most strongly to the above proposal for the reasons listed below. Planning consent for these properties was given only on condition that the development would be car-free. That condition was informed by advice given by the County Council in its capacity as statutory consultee. The evidence for this development to be car-free was substantial and well-considered: the properties are within walking distance to local shops, schools, facilities, and bus routes leading to Oxford, London and the airports. A local car-sharing scheme is also in operation and there are a number of cycle hire schemes which are popular in the Headington area. We believe that the granting of eligibility for parking permits and visitors permits to the above housing units designated as ‘car-free’ against the condition of planning consent would set a precedent for all other properties in Headington and across the City. 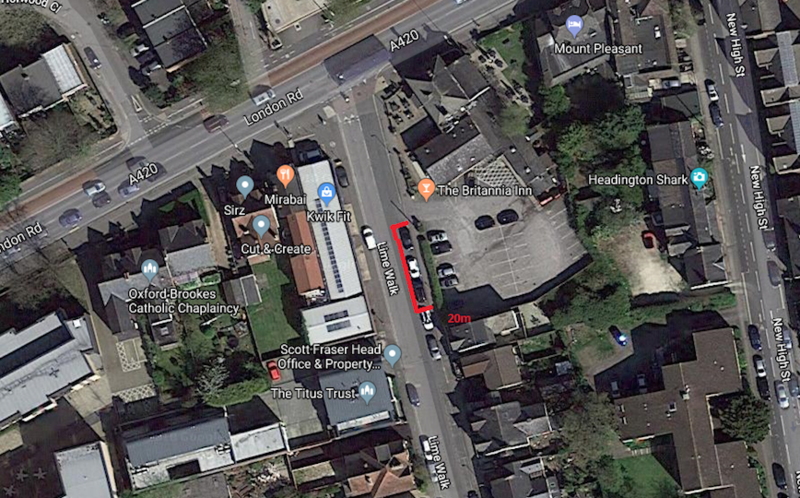 This might well lead to a huge number of other similar applications; this is a common request in Headington from owners of HMOs and flats – units with parking eligibility attached are highly prized and generally command higher prices. 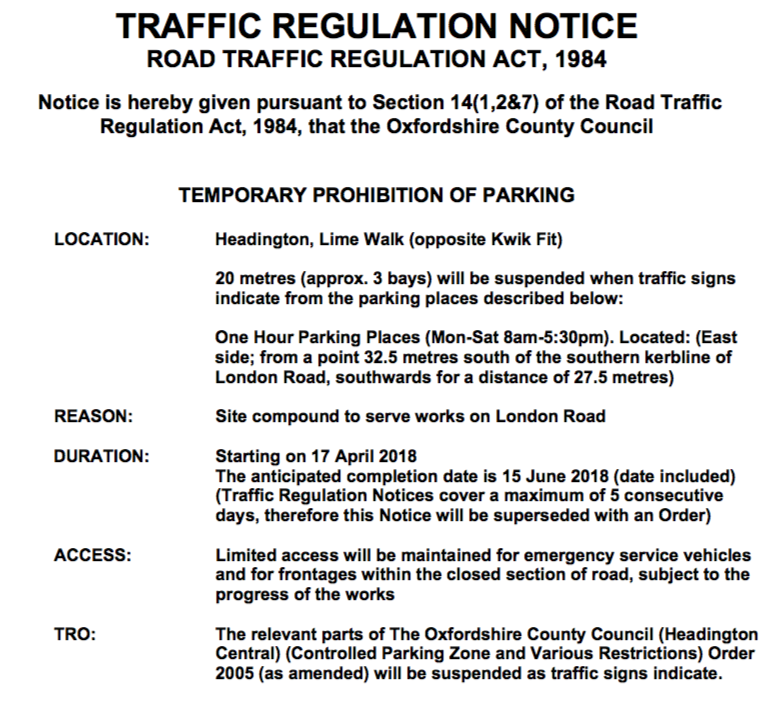 Parking pressure is already unacceptably high in parts of Headington because it has become a major employment hub, and councillors receive complaints from long-standing residents who pay the County Council for parking permits but cannot find an on-road space to park their vehicles without difficulty. We believe that the County Council’s objective to reduce congestion is not best-served by encouraging more vehicle parking. This area is very well served by public transport, and is becoming more cyclist and pedestrian-friendly The County Council’s Oxford Transport Strategy seeks to introduce Rapid Transit buses to improve public transport still further in the Headington area. The Access to Headington scheme for the B4995 Windmill Road will result in a net loss of on-road parking spaces. Windmill Road residents will be looking to park in adjacent residential roads including Margaret Road, Gathorne Road, St. Anne’s Road and Rock Edge. So there will already be extra parking pressure in the Gathorne Road area. Any extra parking permits granted to car-free housing will add to the parking congestion and increase traffic movements half-on and half-off the footway. Local residents have demonstrated to us that there is already parking pressure in Gathorne Road. There are fewer parking places than the number of housing units in the road, and a number of homes do not have off-road parking. 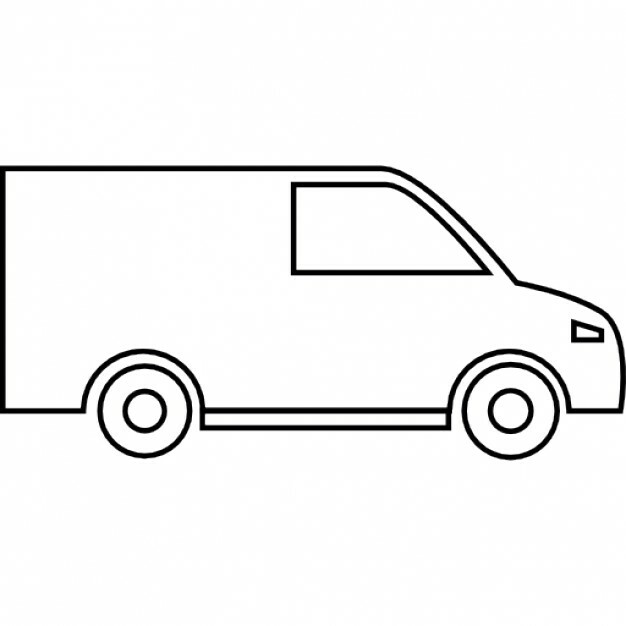 Carer parking is required by those in supported living accommodation, and one space is designated disabled only. The Chair of the local residents’ association has supplied photographs showing that the on-road parking places are frequently full, and we are assured by residents that this is frequently the case. Eligibility for permits for ‘car-free’ units will mean that on-road parking spaces will be competed for by even more Gathorne Road residents and tenants, and parking overspill will spread to neighbouring roads causing inconvenience to the wider community. We recognise that a challenge to an inspector’s appeal decision would be unusual. However we believe that on this occasion the inspector’s appeal decision should be challenged, as it seems to us to be ill-considered given the weight of evidence against it and the gravity of the precedent such a ruling would set. In conclusion, we believe that the County Council should act consistently with the advice it gave at planning consultation, and with its strategy on reducing environmental impacts and congestion in the Headington Area. We believe that the Cabinet Member listened carefully to the views of residents and members and made a balanced decision at the earlier Cabinet Member Decision meeting on 12th October last. We urge the Cabinet Member to reject this proposal. We have followed up on this following your complaints at your last ward focus meeting. Actual obstruction of the highway still remains under Thames Valley Police and vehicles can be reported via the non-emergency 101 telephone number. If it is a regular occurrence residents could bring the matter to the attention of their local PCSO who can keep an eye on the situation-that would be the best bet! You asked us to find out how to report non-disabled drivers who park in blue badge spaces in the little car park near Bury Knowle Library off North Place. See below for the advice received by the City Council. You are correct in assuming that we have no enforcement powers as there is not a traffic order in place. Most individuals won’t park in a disabled bay, however, if some individuals do it would be good to know about it as we could leave notices on the offending cars. This may remind them not to do it in the future. Residents tell us they strongly oppose the huge car parking charge rises for the Headington and St Leonard’s Road car parks. The Neighbourhood Plan called for 30 minutes free parking with stepped charges thereafter. This was discussed again at yesterday’s Council Budget meeting. The Lib Dem budget amendment included mitigation of the proposed charges, and Ruth spoke to this but the amendment was voted down by the Labour Group and the Green group abstained. That budget line of £52K would be made up of savings to the car parks resurfacing budget for 2018-19. Once again the single line amendment was voted down by the Labour Group. Some comments were made about Waitrose shoppers by a Labour councillor which some people in the chamber found offensive. Independent Cllr Mick Haines spoke in favour of the Lib Dem amendment. Signs will go up in the car parks in March/April alerting people to the changes and asking people to comment before the charge is increased. We have had enquiries from two people about current batches of car parking permits being dated 2016/2017/2018. This means that the permits themselves expire in 10 months, and residents will need to apply again at Christmas. Here is the response from the County Council’s Parking team. Visitor permits dated 2018,2019 & 2020 are in production as we speak. The first batch of 25 issued from the existing stock 2016, 2017 & 2018 are for 6 months therefore should the resident apply for their second allocation ( Aug/Sept time) they will be issued permits from our new stock. Of course there may be some residents that find 25 are enough to cover them for a full year therefore in this instance any returned permits will be replaced. Replacing permits will strictly apply to those who have not obtained a second allocation during their permit year. We have asked for better information on the website. It seems strange that Resident Parking Zone parking permits stretch from year to year, but visitors’ permits have a cut off date. We have asked for parking permits to be colour coded to aid enforcement officers but have not yet received a response. We learn that the replacement of unused visitor permits is not advertised. Why not? It is very uncommon that a resident returns the unused/expired permits and it is not advertised. Residents over the age of 70 ( and who qualify for their second set free of charge) should be encouraged to apply for this second set instead of attempting to replace existing permits. We have been asked by residents to check how regularly the civil enforcement officers patrol in Sandfield Road. Here are the latest figures from the County Council. There are some poor markings in some areas which make the enforcement of certain bays difficult, and these have been reported to Highways. Regarding cars switching every two hours, seemingly what the drivers have been doing is swapping their vehicles around between free bays and moving before the parking period expires. Unfortunately, as they are moving to a different marked free bay our CEO’s have to start their observation periods again. NSL has been requested to monitor the situation and increase patrols. Businesses are worried that this hike in charges will deter customers from shopping in Headington, and using its services and restaurants. Oxpens minimum parking charges are frozen as it competes with new Westgate parking facilities but suburban car parks face substantial rises. The proposals are out for public comment until 28th January.